I wanted to take a minute to call some attention to a couple of behind-the-scenes players in our life. Ethan and Ireland are Nyah and Mia’s brother and sister and are the other half of my heart (along with my rockstar husband, Jason). Ethan and Ireland have been neck deep in our transplant journey for the past few months... well years, really. They gave up a huge chunk of their summer break to travel to SF for appointments with the girls and through the long, hard weeks following the girls’ surgeries. 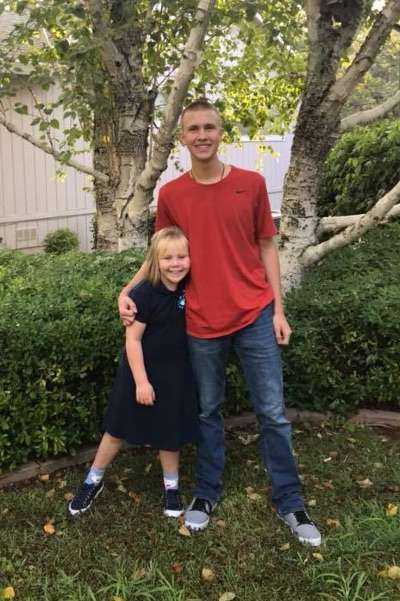 Ethan has completely blown us away with how he has stepped up to care for his sisters, particularly his baby sister, Ireland. He has a gentle, strong heart and a rock solid commitment to his family that is far beyond his 16 years. 8 year old Ireland was the first person Mia asked for when she opened her eyes in the recovery room and since then, Ireland has taken on the task of helping Mia heal. UCSF Children's Hospital is nothing new to Ireland. When she was four years old, she was diagnosed and treated for Leukemia there. She knows her way around the place and enjoys spending time in the various activity/play rooms available to patients and their siblings. I was able to steal away back to Paradise for a few days to see these two back to their first days of school and was completely blessed by my time with them. As a mom, I sometimes sit back and take stock of my life and I have to say that if I do nothing else of consequence, I birthed and have the pleasure of raising four exceptional humans. My life is blessed and my heart is full. 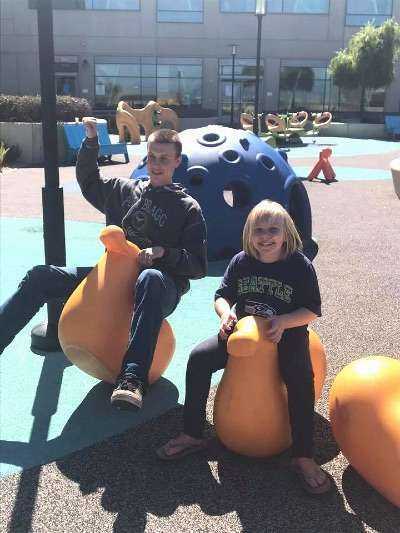 Ethan and Ireland having a little fun at the 5th floor playground at UCSF Children's Hospital. Ethan and Ireland at home in Paradise, ready for the next school year.